Check out our different speedy road test options. We've got one to suit your specific needs. PLEASE NOTE: Make sure to fill out the order form after paying for the Classic Rush Road Test. We will not be able to process your order if the form isn't filled out. *Prices do not include use of our car. PLEASE NOTE: If you are ordering your second Classic Rush Road Test, please CLICK HERE. Please Note: There will be an additional $20 charge for any specific date or location requests (availability may vary). PLEASE NOTE: Transportation might not be available for the Platinum Rush Road Test. I don't know how they do it, but my G-d, these people work miracles! I failed my road test yesterday (Monday), purchased a rushed road test with them, then heard back from them a few minutes ago saying that they scheduled my road test for Thursday (3 days after my first road test.) I'm so glad that I don't have to wait until the end of January (which was the next availability on the dmv website.) Thank you!!! 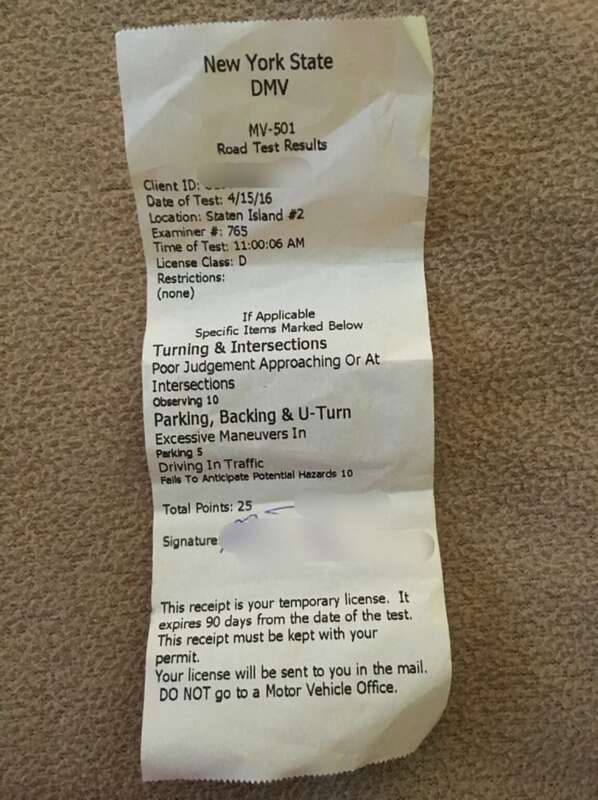 They did exactly what they said they would do; find a road test within 2 weeks, pick me from my home, take me to the exam early so that I would have time to practice and drop me off back home after the exam. They are very thorough and diligent in finding road tests for customers. I highly recommend this company if you need a rushed road test. Rush Road Test NY is a service of Beep Beep Auto School LLC. Beep Beep Auto School LLC is licensed by the NYS DMV but is not an agent or representative of the DMV.